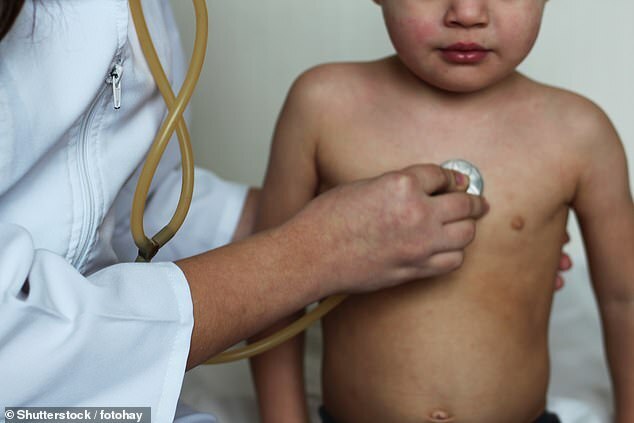 The UK is breaking UN rules by not giving free NHS treatment to undocumented migrant children, according to experts. 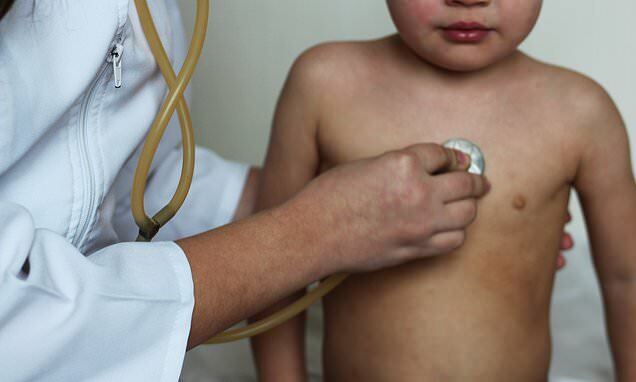 A group of seven academics, including a Public Health England spokesperson, say the health service must change track and improve its care for children. As many as 65,000 children who were born in the UK may be being denied free NHS care because of a ‘hostile environment’ policy, their editorial said. Writing in the journal the Archives of Disease in Childhood today, the group of experts from English universities warned the country is breaking the UN’s convention on children’s rights. Article 24 of the UN Convention on the Rights of the Child says governments must give all children good quality health care. But the researchers led by Dr Neal Russell, an expert in child health at St George’s University in London, say the UK isn’t doing this because it charges undocumented migrant families for care. The charging is part of the Government’s ‘hostile environment policy’, a set of laws designed to make it difficult or unappealing for illegal immigrants to stay in the UK. But the prospect of medical costs may drive families with a legitimate right to care away from NHS hospitals, the experts said, putting children’s health and wellbeing at risk. ‘Restricting healthcare access is clearly detrimental for health outcomes,’ they wrote, ‘but also child safeguarding. Undocumented migrants are charged 150 per cent of the cost of NHS treatment to other foreign visitors. WHAT WAS THE WINDRUSH SCANDAL? The Windrush Scandal happened in 2018 and was a high-profile example of how undocumented migrants are left with fewer rights than native Britons. It concerned migrants from British territories in the Caribbean who arrived in the UK before 1973. Many of the migrants travelled using their parents’ passports and were never formally nationalised in the UK. In 1973 the UK brought in a law requiring migrants to prove they had lived in the country beforehand in order to qualify for citizenship. Then decades later, in 2010, the Home Office destroyed thousands of landing cards which documented migrants’ arrival dates. In a crackdown on illegal immigrants the Government demanded immigrants provide proof they had lived in the UK before 1973. Those who couldn’t were – and this is what caused the scandal – threatened with deportation, or in some cases actually deported from the UK despite having lived her for most of their adult lives. Home Secretary at the time, Amber Rudd, resigned when victims of the scandal came forward and it was made public last year. Non-EU migrants living in the UK now have to pay £400 per year for access to NHS health care, though paying for individual treatments may cost far more. Giving birth in an NHS hospital, for example, costs £6,000 per delivery for an undocumented mother, and more if there are complications. Undocumented migrants are not all illegal – the term also includes people who can’t prove their immigration status, victims of slavery and trafficking, and people who have not yet been granted – or have been refused – asylum. There are an estimated 600,000 undocumented migrants in the UK, with 120,000 of them children and 65,000 of them born in the UK. Children born in the UK to undocumented parents cannot become citizens until they are 10 years old, so they may be affected by the law, too. And the experts say in their report that if someone owes more than £500 to the NHS they will be reported to the Home Office after two months. ‘Families may face legitimate concerns that seeking care for their sick child may result in immigration enforcement such as detention, deportation and even family separation,’ they said. And they added the Windrush scandal – in which Caribbean migrants who had lived in the UK for decades were threatened with deportation – sets an example of how documentation can be flawed. ‘The Windrush scandal highlighted publicly how changing residency rules, combined with reduced NHS entitlements, can also lead to misclassification of status and denial of NHS care,’ the report added. The experts who wrote the piece alongside Dr Neal are: Dr Lisa Murphy (Public Health England), Dr Laura Nellums (St George’s University), Dr Jonathan Broad, Dr Sarah Boutros, Dr Nando Sigona (University of Birmingham) and Dr Delan Devakumar (UCL).